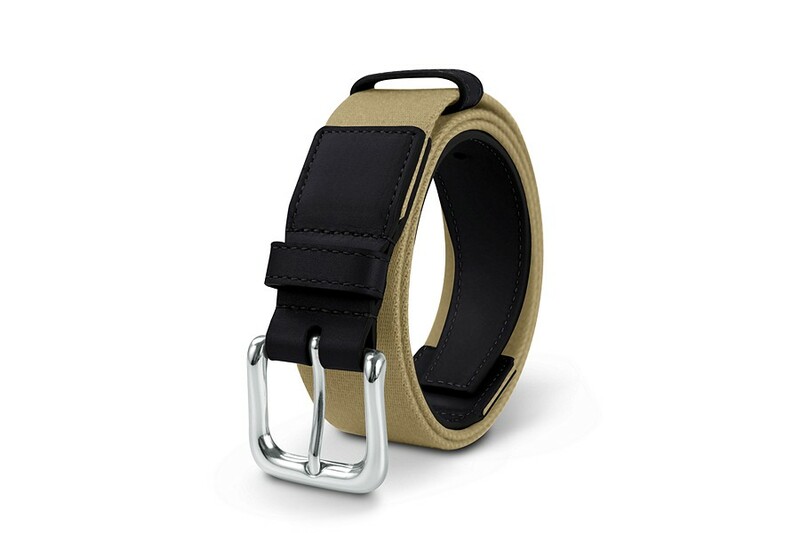 Combine the finest of leathers with beige colored woven cotton for the belt that you were looking for. 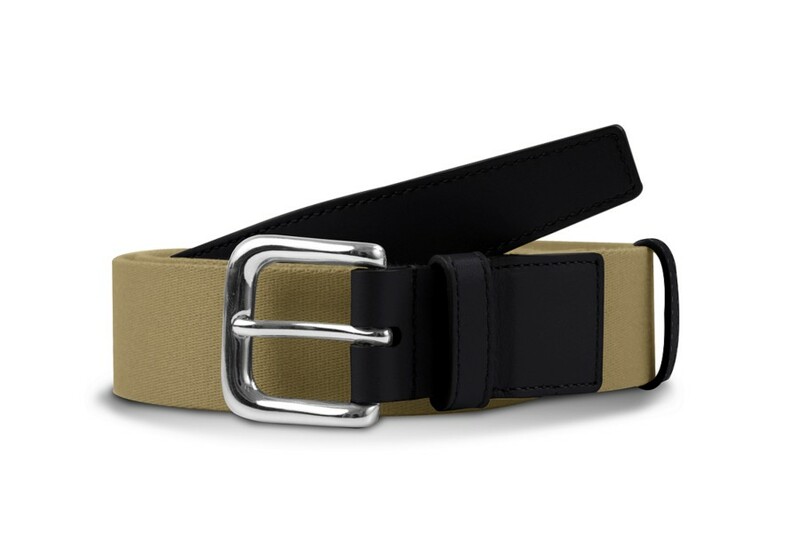 Whatever be the pants you are wearing - cloth, linen, jeans or even from your luxury suit - this 3.5 cm width belt with silver-colored buckle will be your favorite from now on. Furthermore, you can even customize the ends of the leather belt -available in several sizes - with your initials, for example. Kindly indicate your waist size in the comment section and our craftsmen will design it for a perfect fit. 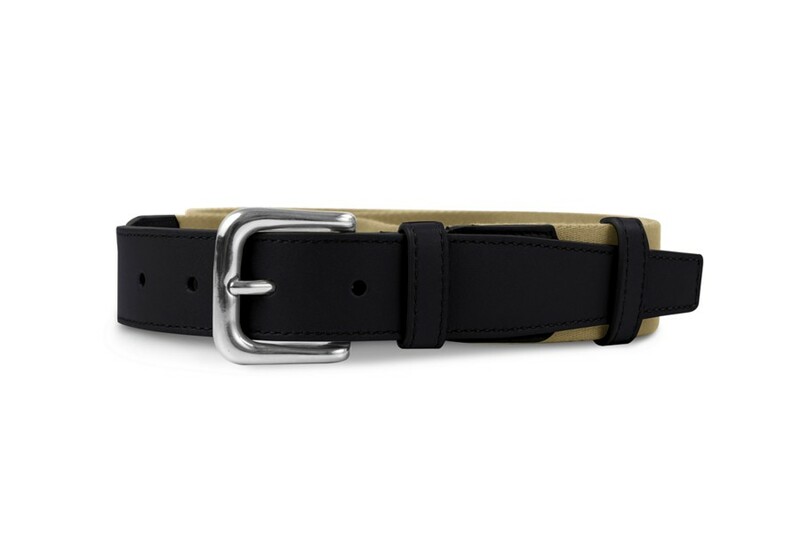 How to choose your belt's size? A well adjusted belt is one which you fasten using the hole that is in the middle of the others. 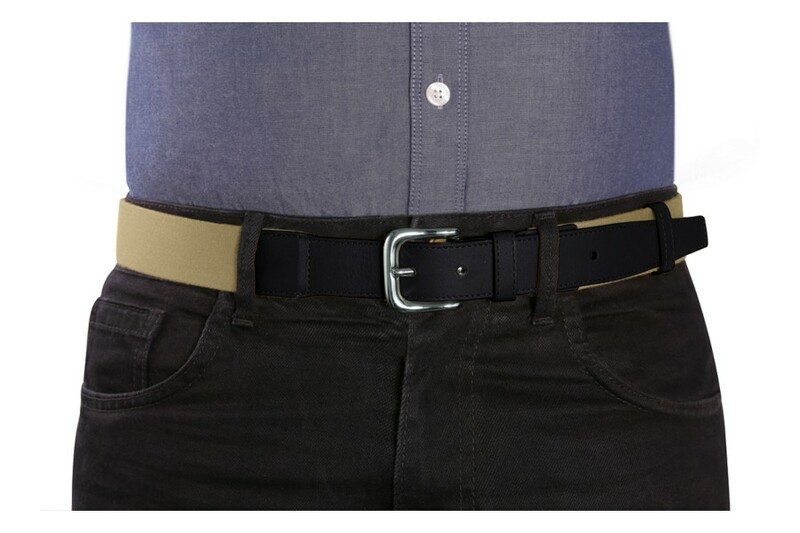 The length of an adjusted belt corresponds to the distance between the buckle's end and the middle hole - if you wish to wear the belt at hip level. To measure your belt size, use a measuring tape. Go around your waist or hip, or wherever you want to wear your belt. Then, compare the measurement obtained to the proposed belt sizes - if the measurement result and size do not match, choose the larger size.